A look at the content that was cut or omitted from the final game. In the development of any game there will be things that were planned but didn't make it into the final product for various reasons, either it didn't work out as planned, it sounded better in theory than practice, too difficult to program, or they simply run out of time/money etc. While we can't attest to the reasons why these things were cut or more than guess at the purpose of some of them since only bits and pieces remain on the disc, it still provides an interesting look into some of the things that could have been. Note: We're using McDohl as a placeholder name in dialogue, it would have been whatever you named the hero if it was acutally used in-game. Though the Ninjas can't die in the final game, it appears that at some point the possibility of Kasumi dying was at least considered as this unused line by Hanzo when he shows up before the attack on Gregminster shows. I see. Let us say it was the fate of a ninja. When Varkas and Sydonia join up there's a banquet held to celebrate. 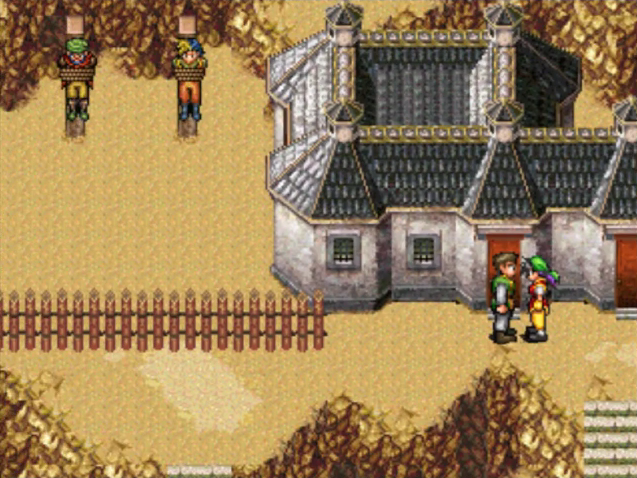 In the final game only a couple of characters attend, but it appears there were plans for all mandatory recruits up to this point to attend as they all have lines, as well as Gremio having an alternate one. That tall one's cooking is pretty good. I should put him to work somewhere as repayment of the money I'm owed. Big Brother acts without thinking, so I always have to watch out for him. Phew. 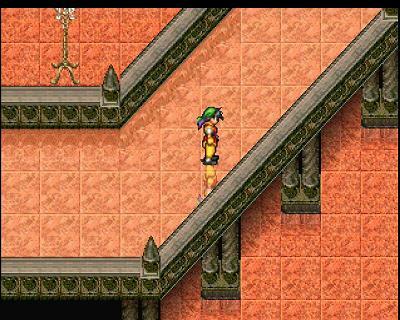 I followed my Master here, but I never thought I'd end up living with bandits. These silver plates should be worth quite a bit. Master McDohl, the men you've recruited are useless. My goodness, eating too much? How pathetic, you fool. Where are you off to, Young Master? 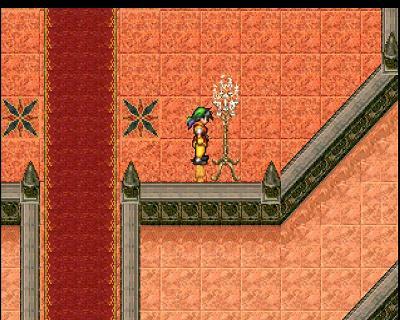 Though the game doesn't use descriptions for Key Items they still wrote them. Some items that were unused, though the rune crystals appear to be there for programming reasons as the description suggests that they were always meant to be unique runes. This piece of dialogue by Mathiu suggests there was something bigger planned for how you used your troops, though in what way is uncertain. Perhaps the war system used was originally more complex or something else entirely. The placement of the text is around the same place as the text before the assault on Shasarazade which could indicate that it's an end-game thing. Perhaps there was supposed to be a 5-party attack on Shasarazade or even Gregminster? We don't know! Sounds exciting though. But the core Imperial Army is still in excellent shape. The time for battle is nearing. may I suggest we divide it into five battalions, appointing a general for each. The five generals can then command each battalion. who will constitute the core of our army. 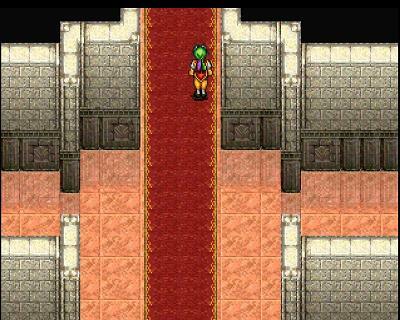 A room in Gregminster Palace that only exists in the daylight version of the palace. Though the passage is blocked by guards and can't be reached through any normal means. It's purpose? Your guess is as good as ours. 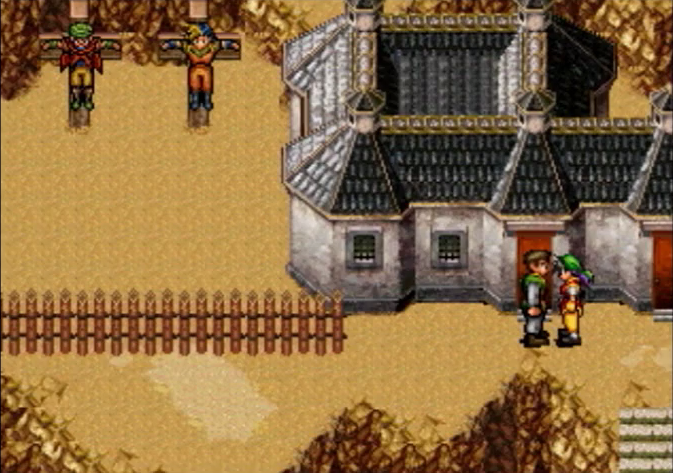 In the Japanese version of the game Varkas and Sydonia are crucified as their punishment for banditry, in the English versions they are tied to poles instead. 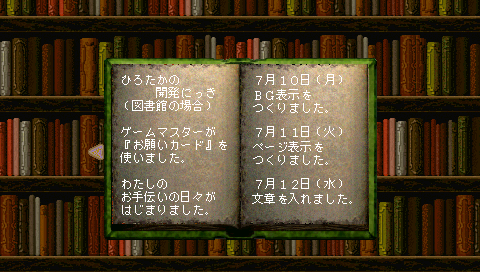 In the Japanese version there is a secret 9th volume in the library that is only accessible by highlighting the 8th volume and pressing all four buttons at once. The book is called "Hirotaka's Development Diary" and is a short diary of the programming of mainly the library function.